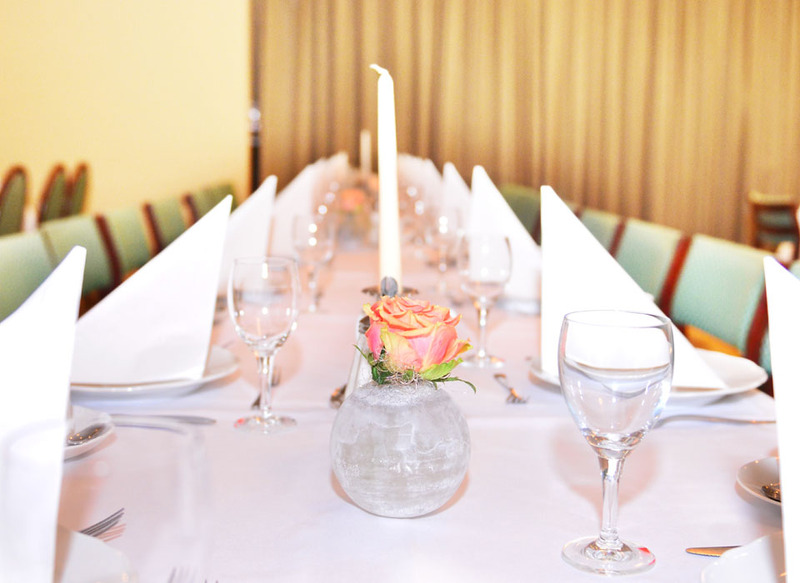 In our largest hall you have the possibility to celebrate with 160 guests. Never mind, if you like to celebrate your birthday, your wedding, wedding anniversary or a different festivity. Please, contact us by phone or mail to arrange an appointment with us. Firstly, we will show you a tentative offer. On one hand we have extend the number of rooms from 16 to 26 and on the other hand we have modernizes all our rooms to get more comfortable. Based on the rising demand of mostly Scandinavian guests decides Haleh Yagouthy, the owner of the three-stars-hotel, to expend the “Hotel am Nordkreuz”. Furthermore, the restaurant “Clair de Lune” gets a new name and a new style. A new French-Scandinavian designs in combination with a German cuisine with a hint of France. The restaurant name “Clair de lune” has the meaning moonshine, what is likewise the same meaning of the Iranian name of the hotel owner Haleh Yagouty. Aschkan Zonobi, the son of Haleh Yagouty, is responsible for the restaurant. He has completed his training as a fully trained hotel clerk in the five stars superior hotel “Alter Meierhof” in Glücksburg. Based on his effort and expert knowledge, he was able to abridge the training to two and a half years instead of three years. After the training, he was working for one year as a permanent employee to further deepen his knowledge. Aschkan Zonobi is looking forward to welcome you to his restaurant and surprising you with fresh, delicious food and corresponding wines.